Basic generation service rates for PSEG residential customers have been announced for the summer of 2018 which will begin on the first of June. 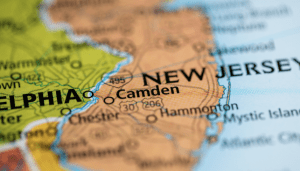 The announced rates are significantly higher than competitive rates offered by alternative New Jersey energy suppliers. PSEG customers who are used to accepting the default basic generation service rates will find savings above 10% if they decide to shop for more attractive offers provided as a result of New Jersey energy choice laws. In the 2018 summer months, residential customers on the default rate will be on a 2-tier pricing structure. The first 600 KWh consumed will be charged at a rate of $0.118528 per KWh, while all KWh consumed above 600 KWh will be charged at a rate of $0.128226. This structure will result in large houses paying higher rates than small apartment dwellers. With the current PSEG default rate at $0.12234, customers living in smaller apartments who consumer under 600 KWh will wind up paying a little less on their rate. However, customers in larger homes could see a rate increase by as much as 5% in June compared to their May rate. Regardless of the type of home a customer resides in, many competitive PSEG electricity rates remain a better option as they are priced below the default rate option. According to the New Jersey Board of Public Utilities, as of March 2018 only 195,213 PSEG residential customers, or 10.2%, had switched off of the basic generation service rate and onto a competitive rate structure. More than 1.7 million PSEG residential customers have an opportunity to lower their electric bill by simply shopping for a lower PSEG electricity rate. Switching electricity suppliers in New Jersey is an easy process that simply involves a customer selecting a rate and enrolling for it online. The switch then occurs at the customer’s next available meter read date without them having to be present at their property. PSEG customers need to locate their electricity POD ID located on their electric bill to complete a switch request. The POD ID starts with the letters “PE” and is followed by 18 digits, the first four digits will be zeros. PSEG then continues to send the customer their monthly electric bill with the only difference now being the competitive rate selected replacing the previous basic generations service rate. Competitive PSEG rates that are below the basic generation service rate result in a lower monthly PSEG electric bill.